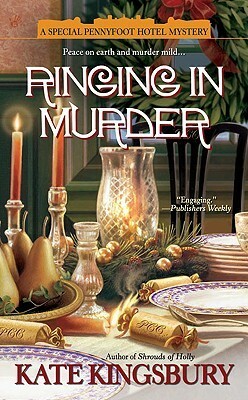 The Book Garden: The Reading Files - Cozy murders are the best! Thoughts. Think outdoor antiques show and dead antiques trader in the field nearby. A bit of an unremarkable mystery, yet the fresh and witty narrative captured me right away. 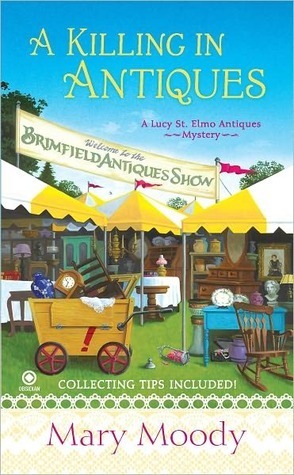 Plus I think Lucy St. Elmo might just develop into one of my favorite snooping heroines. First line. Most treasure hunts are fantasies. Verdict. 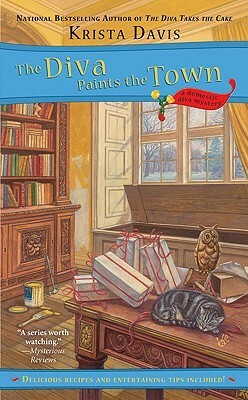 A delightful first book of a new series I can't wait to read more of! Thoughts. Neighbor dies (of old age) leaving his mansion with a dead body in the basement. While the mystery itself was well executed I admittedly couldn't connect to the characters, the heroine herself being particularly insipid. An average book, yet not a series I plan to follow! Random quote. "Camille informs me that I'm to furnish this room." He surveyed it with distaste. "Basically a box, isn't it? Good olding at the ceiling, but otherwise, it's architectural milk toast." Verdict. Classic who-dunnit with a decorative twist! Thoughts. No peaceful Christmas can be expected when people suddenly die in this Christie-esque mystery set in Britain in the early 20th century. I immediately loved the quaint atmosphere, yet it took me quite a bit to familiarize me with the whole cast. Overall a lovely cozy! Last words spoken. Happy New Year! Verdict. A charmingly old-fashioned read! You go through books at such speeds, I am SUPER jealous.